Have you recently been considering Revenue Cycle Management services? If so, be sure to get an overview on exactly what the RCM company should do to help improve revenue and productivity for your organization. 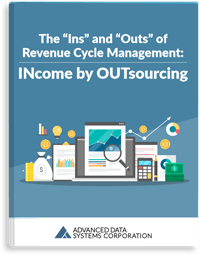 If they actually know how to manage their clients’ revenue cycles, then without a doubt, outsourced RCM is an embraceable, valuable commodity. To gain instant access to this free resource, fill out the form on this page.